1) Cook the rice for around 20 minutes until just tender and drain well. 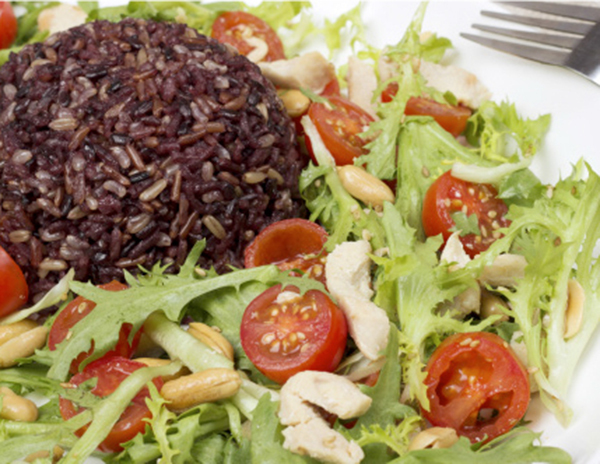 2) Spoon the sesame oil over the rice and mix with the peanuts, the chili and the spring and red onions. 3) Cut the mangoes. 4) Mix together the fish sauce and lime juice. 5) Season the rice, top with the fish sauce dressing and finish with the fresh coriander.